Trace Viewer is a new part of the MainTree uScript Toolkit. We are providing it free of charge as a service to the community. 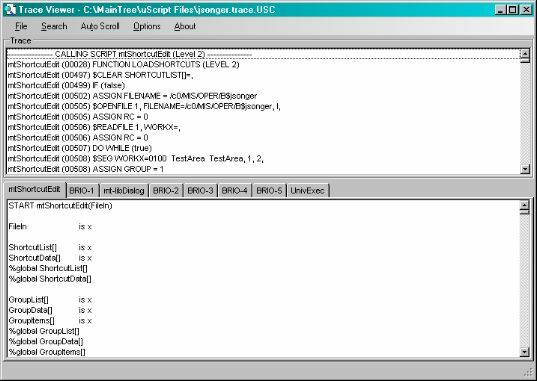 Trace Viewer is a debugging tool designed to put your trace files and uScript code on screen at the same time. The nice thing about this tool is that while you scroll your trace file, it shows you the matching line in your source. It also filters out the BRIO sections of the trace and moves them into separate tabs to get them out of your main trace view.